With Instagram it's always a bit of a battle deciding what to post. Do you keep it business like and professional or do you try to create a bit of a more relaxed and 'behind the scenes' feel? 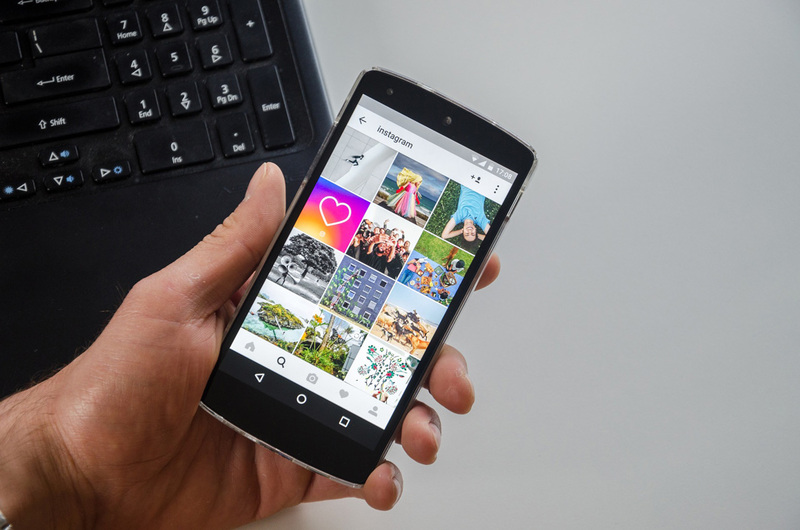 It's always difficult to know what to post and how to caption it to captivate people's interest, that's why we've created this article; 10 types of Instagram posts that do really well. 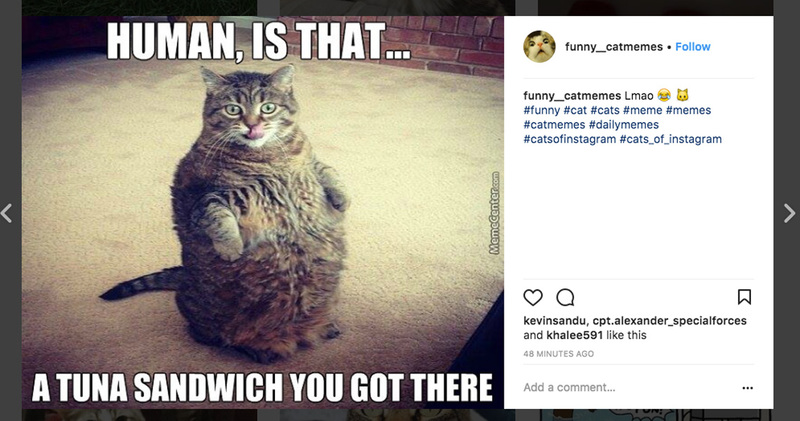 This type of post is a popular one on Instagram and that's partially to do with hashtags. It means to create a post and make it relevant to a specific event or trend that is happening near that time. For example Easter; You may post a photo of an Easter egg, Bonnet, recipe etc and hashtag it #easter #easterbunny #hotcrossbuns #eastersunday, so on and so forth. 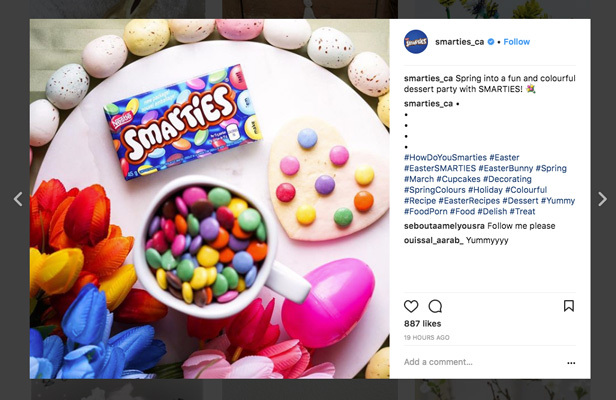 Because Easter (and other big events) are celebrated nationally, this will give you good engagement on the post and potentially increase your follower count as well. This is another great one for engagement. 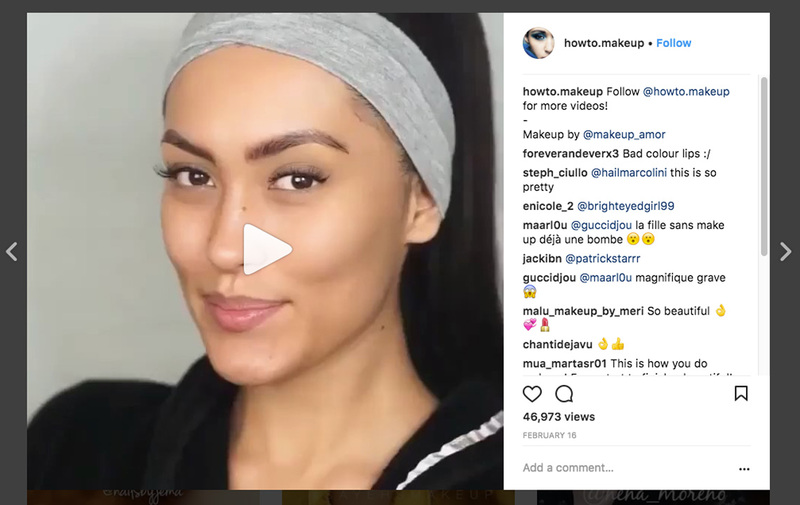 These types of posts & videos are ALL OVER Instagram - everywhere you look there is a hair or nail tutorial, how-to make this & how-to do that. 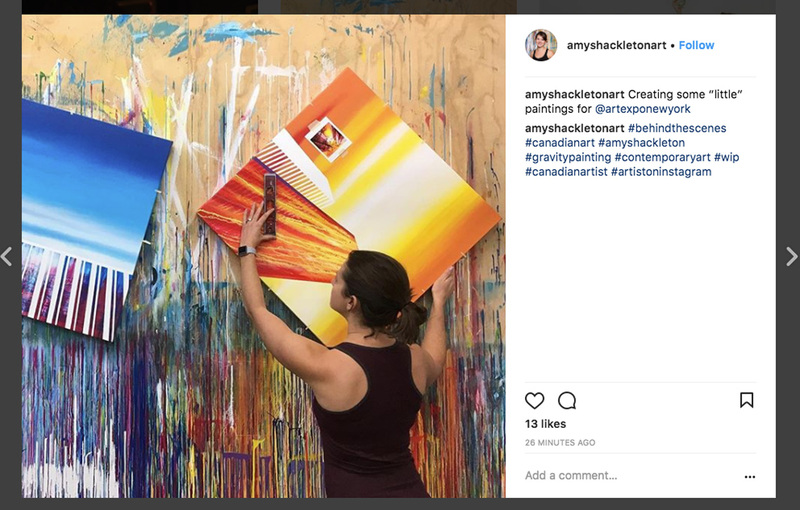 It's a massive trend that doesn't seem to be slowing down so if you have any tutorials on how to use your products or how to make something using your products, then get posting those because actionable content is some of the most valuable. Who doesn't love a good bargain? 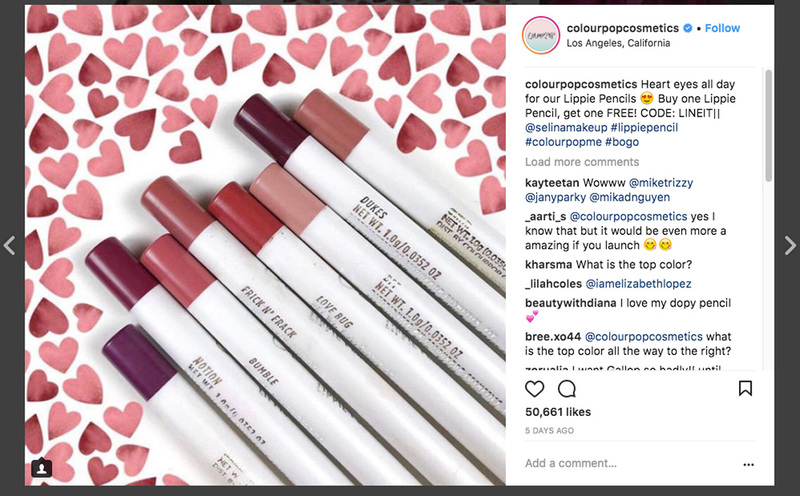 Offers and promotional posts are a great way to increase engagement on your Instagram and you may even see more traffic on your website. However, promotional posts should be amongst a mix of great content, to keep your profile relatable so you don't come across as spammy. No one likes a spam account! Everyone loves a throwback (#throwbackthursday) post, whether it's a cringy teenage picture of yourself or a picture of your businesses humble beginnings. For business throwbacks it's a great reminder for your long standing customers, about how far you've come and gives your new customers a nice insight into the background of your business. And needless to say everyone can relate to those jaw clenchingly cringy photos of our youth! Cat pictures & videos are classic. Whether you are an animal lover or not, we have all had a giggle at the animal memes floating around the internet. Sharing a funny post and showing your down to earth side is a great way to build rapport and relatability with your audience (if it fits in with your brand). Not to mention the engagement you could potentially receive with likes, shares and comments on the post. 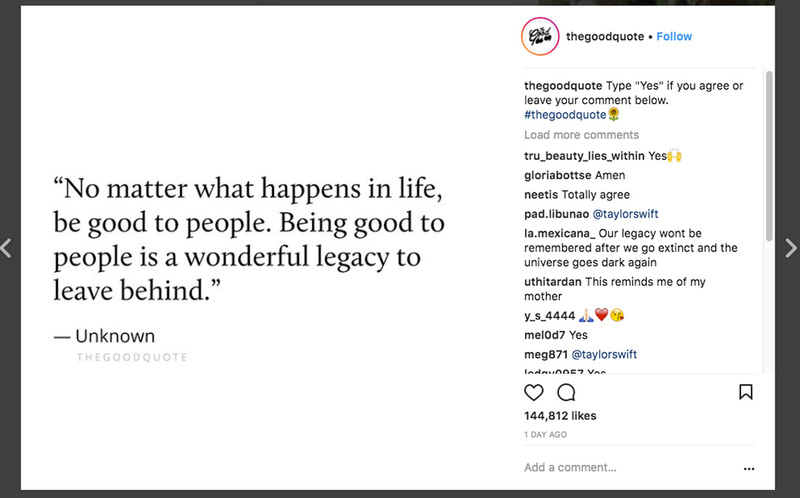 Again these types of posts are great for building rapport with your audience; posting words of wisdom or cute little quotes will give your audience a smile and increase your likeability factor. People LOVE these types of posts, they're a great way to add personality and relatability to your brand. People love to know what goes on in day to day business life that's why its a great idea to post pictures of your office, you sat at your desk with a coffee or a video or photo with an insight into how your products are made or sourced. People love to get to know the human side of a company, so get snapping those office selfies! People love to get involved and share ideas and opinions so posting photos with a question attached or even putting a question in the caption encourages people to engage with you. 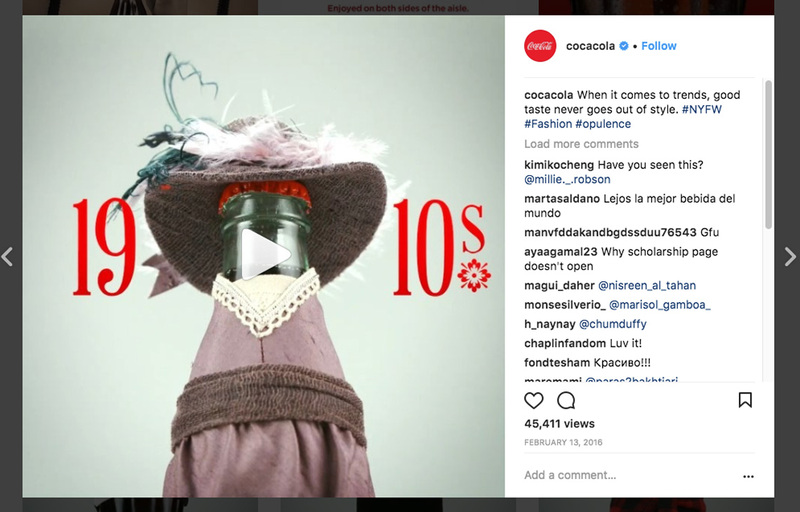 This is a fab way to get to know your audience and of course increase the rankings of your post with likes and comments. Try it! Ask people how their day is going, what their favourite hot drink is or what their favourite holiday destination is, it's a sure fire way to get your followers talking! 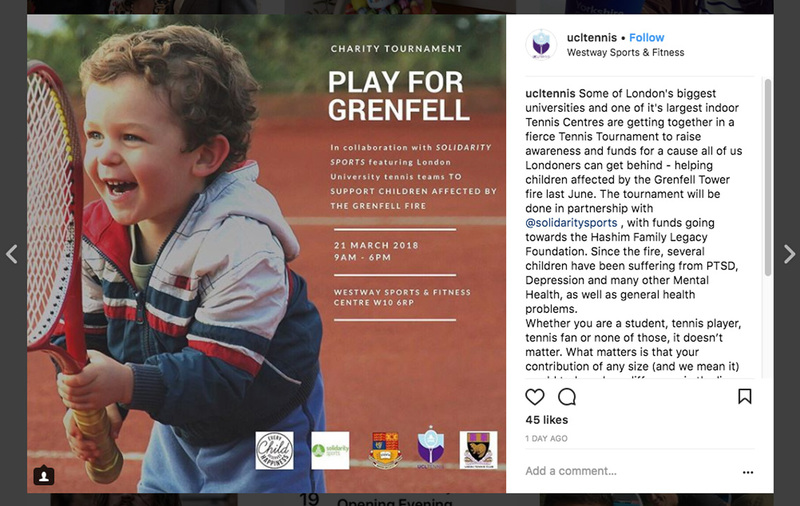 Promoting a good cause or posting a photo of you doing something to support one, indicates that you are about more than just the interests of your company. People love to know that if you are in a position of influence that you will use that platform to bring awareness to important issues or charities. Again it shows the human side to your company, enriches the feed of your audience and it's the right thing to do! 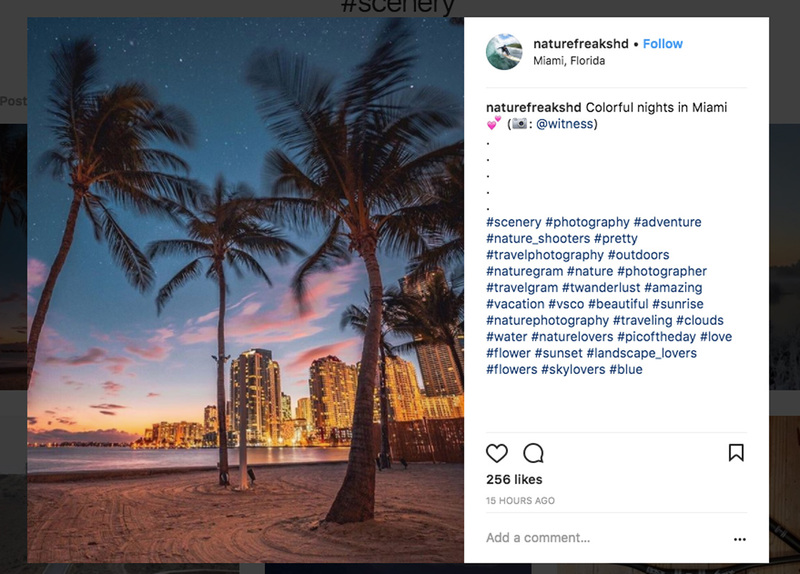 Another Instagram classic is scenery photo's. We've all done it whether we're out in the countryside or on the beach, there's nothing like gazing at a lovely scenic photo and imagining yourself there. Captivating yours and your audiences imagination! The ultimate aim of posting on Instagram (besides making sales) is to captivate your audience and interact with them. So get innovative, put your own spin on these types of posts and show off your creative streak! Why don't you try some of these out today? Contact us for more information or to register your interest in the courses.